Hello, my name is Tony Ramos and I will be your hike lead for this Saturday’s hike. We will be hiking to San Bernardino Peak and meeting at the Ranger Station Parking lot between 5:30 am and 5:45 am. The weather forecast for Saturday in San Bernardino Mountains is warm but up in the top of the mountain it should be at least 20 degrees cooler and at the summit about 54 degrees so please dress appropriately. Bring water or electrolyte drink, snacks, a lunch and headlamp / flashlight in case we have to come down in the dark which I don’t expect. This is a Level 9 Hike and will include a fast pace, steady inclines and high elevation. Please reconsider if not prepared! Please take the time to read all the hike details (http://latrailhikers.com/hikes/san-bernardino-peak/) and familiarize yourself so you know what to expect. Please be on time as we will not wait! I look forward to seeing everyone on Saturday morning at 5:30 am! 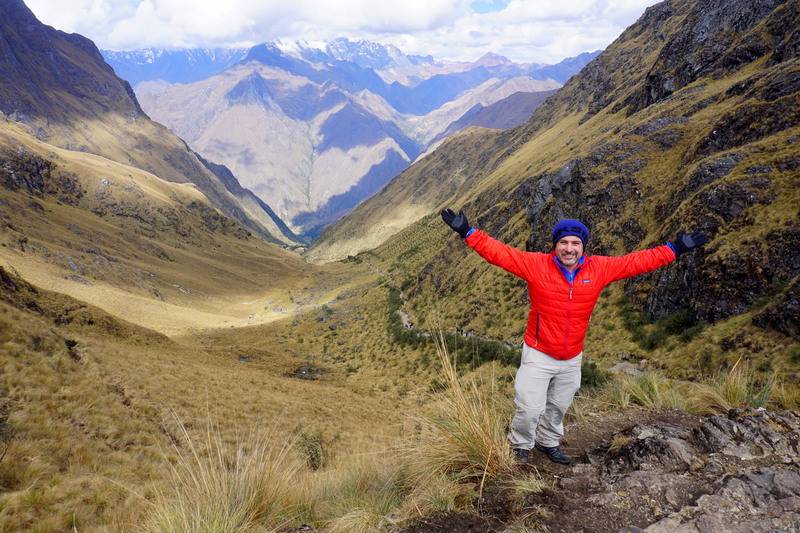 — at Inca Trail in Peru (August 2015).